I do cultural research, travel the globe extensively, and am affiliated with the International Center for Ethnographic Studies - Atlanta, USA. Photography is an integral part of what I do. My clients include NGOs, non-profit, religious, and parastatal organizations. 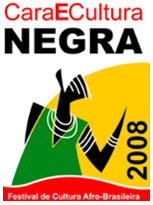 A featured exhibitor at the 2008 Cara e Cultura Festival in Brasilia, Brazil. 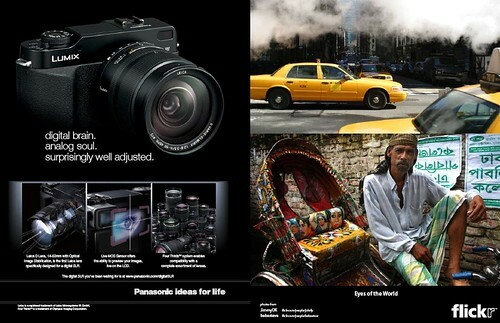 Babasteve, Flickr and Nikon: a great combination! 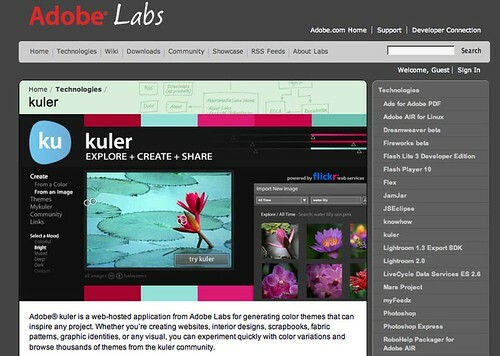 And, Babasteve and Adobe: another great combination ! And, Babsteve, Flickr and JPG Magazine: still another great combination ! 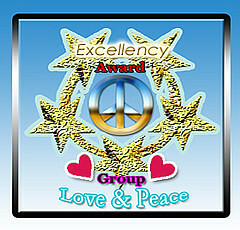 Special thanks to the LOVE & PEACE group for the special award! "I find Steve`s work very touching, strong, beautiful and honest! A photographer`s captures reflects the heart of the person behind the camera as well. And that for sure shows that Steve is a man with a warm and great heart! Thank you for sharing your amazing and truly meaningful work!" Steve is also a great teacher and active in our masterclass of photography called Afterclass group, inspiring us and giving advice and encouragement"
"His collection showcases the souls of the people of our amazingly culturally diverse world." "The power in Steve's portrait photography lies in involving people in the scene, they look at us, you feel their soul !" "Babasteve travels constantly, and his photos are a reflection of that. I find myself returning to his page all the time and I feel that I gain insight into the cultures he shoots as a result. Steve is also a great guy and that comes out in the faces of the people he shoots." "So many people have already written about him but I want to say that Baba Steve's work is outstanding, his work on human beings is something mind blowing, he captures the enviornment, the culture and the soul of the characters. His portraits speak themselves because he captures them in such a superb way that not many can do that. I only can wish If I have vision like him." 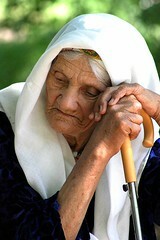 "In Steve's photography I see the faces and expressions of the world, captured with so much humanity, dignity and love. He catches the true spirit of the moment and shows us the timelessness and beauty of life. He paints in the colours of truth." "I have been following his images for some time now and he is a person who has been tremenously inspiring and his work has guided me in my journey with a camera. His portraits are sheer masterpieces and mesmerize me. It is indeed a joy to see the world through his lenses." "Its a pleasure to write a testimonial for an ace photographer like Steve Evan. I can never thank Steve enough for his encouragement. His photos are an inspiration to anyone, including me! Each image is a gem. For me, he's the master in the world of colors, people, cultures and portraits. Its great pleasure to see world through his pictures and feel that bond that all cultures share with all the diversities. His pictures truly display human spirit. 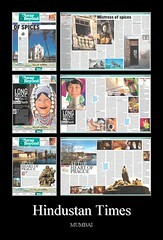 His photographs are journey to different culture, different world and different people. Thanks Steve for sharing your work." "It has been such a pleasure following steve in his travels via Flickr. This testimonial is long past due and I am delighted to write it. He is one of my favorite photographers to date. 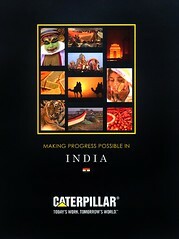 Not only does his stream inspire my photography, but also feeds my hunger of travel and experiencing diverse cultures. Babasteve is pure genius when it comes to capturing people, especially the PERSON behind the portrait. His style clearly depicts truth, candidness, and uncovered bewilderment. If travel to 1/50th of his destinations and photograph half as well as he does…then I will die a happy woman. 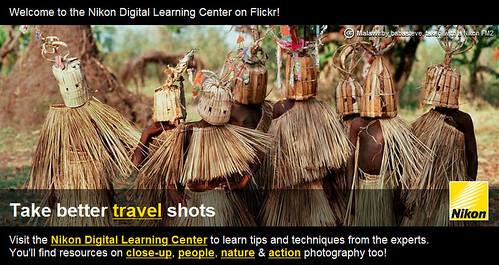 I'm mesmerized by this man’s work"
"Well I have a big problem to write something after all these testimonies; so, Steve, I will be simple: just keep on posting your images, so clear, informative, always top quality ones; they show so much curiosity about other cultures, in a good way, I mean respectfully!" "Steve Evans (Babasteve) certainly has an impressive body of work on flickr. When I first stumbled upon his photostream, I was sure he must work for National Geographic Magazine. But his profile indicates that photography is a hobby! Incredible...because his work could definitely grace the covers of magazines! Steve captures humanity like no other on flickr. His photostream is such a pleasure to visit (which I do daily!) His inspirational work broadens my horizons and helps me see the collective spirit in all of humanity. I am so thankful to have Steve as a flickr friend and contact. Visit his photostream and view his wonderful 28 sets! You will be delighted by what you discover!" ""Wow-what a wonderful surprise! babasteve's photos are like a travel adventure. The shots are are very unique-one minute you are in a the very dark contrast that shadows his portraits and the next minute your in a bright beautiful space I think the site is more like a photo journey. It is one I have enjoyed taking and will continue to come back for the ride. A super image trip!"" "Thank you for taking me around the world through your wonderful pictures. I enjoy them a lot and love the way you capture the emotion of the moment. Next to Ahmed Zahid you're my favourite, he makes me dream, you bring me back to reality and hence there is balance (;)"
"The photography in Steve's stream absolutely breathtaking. I don't think I've ever faved so many images in one day before as I did when I discovered this incredible photo stream !!! What I find so amazing is how he somehow manages to get shots with the subject remaining with such a natural expression and posture. This is almost impossible to do, especially in cultures where people are shy and tend to smile or else show some false bravado. But he "nails it" in each and every photo. Steve is a consumate professional. Bravo !!" Apart from sharing these images, he encourages many amateur as well as experienced photographers and actively participates in sharing his expertise and techiniques with others. It is indeed a pleasure to have met him and his photostream as well as discussion threads makes time spent more than worthwhile." "i look at the testimonials ,,and i still can\\\'t find the words to describe babasteve.. he takes me to all the countries he\\\'s been to with his pictures..such an eye opener..something in me changed..
that said..u just know he\\\';s a good person with a great heart...you get this gut feeling and u know it\\\'s right...=)"
"What the world needs now is more babasteve. His open, friendly and encouraging spirit elicits the best smiles on the planet. He captures this warmth with transparent and graceful artistry, focusing on his subject without judgment or bias. Steve has shown me that people everywhere are connected by love of family, by love of community, by a common struggle to know life, and by their beautiful smiles. Explore his photostream and get to know your neighbors and yourself!" Steve Evans, “Babasteve’s,” photography always enthuses and inspires me. He is a serious photographer whose work could be found in any leading photography or art gallery. He is able to see people and things clearly and to express his vision through a superb artistic style that is very much his own. His photography has drama, exceptional color and lighting, grand poses and majestic scenery. Every detail is perfect, and thus he is able to produce photos with great impact. I particularly enjoy his portraits, close-up and full length, and candid photographs that always tell a story. His images are full of emotion and he magically manages to strongly connect the subject with the viewer. I like to study his work for lighting, positioning of subject within the environment, and for subjects who express, by gesture or expression, how they feel. It is very rewarding to spend time viewing his photostream… it’s a great learning experience! I would also add that I appreciate his taking the time to stop to make comments on my pictures…for me, it ‘s an indication that I may be headed in the right direction!" Its a pleasure viewing his pictures and looking the world through his eyes..
"It is great to see the world through your eyes!" "I have only recently begun to study Steve's work and can only regret I had not done so earlier. His images are so powerful. I admire how he is able to capture not only a sense of place, but a sense of lives lived as part of a particular culture. There is no "McDonald's" shot here! His work captures people and places that can only be found in that exact time and place. When I look at his portraits I especially feel I am learning about a particular culture. I can clearly see that his work is "National Geographic" in style and quality." "If there was one thing I could wish on Flickr, it would be a DIRECT feed from Steve's photo-stream to my favorites. I love his work, for he does not only captures what is visible on the outside, no, he also gives me a peek in the heart of people, in the soul of a country. His portraits and details, they are all works of art. Steve has the eye to recognise a valuable moment and the steady hand to capture it before it flees. Besides all this Steve is tireless when it comes to giving compliments and comments: whilst browsing through many streams I often find his generous remarks! Thanks for sharing your worlds and for fueling my Wanderlust! "Babasteve is the rare photographer who can take photographs of the landscape and the human beings as they are.He is trying to represent the truth and beauty of the different culture.The visual ethnographical method in which he approaches photographic subjects is wonderful." "It didn't take too long after I started with flickr that I discovered steve and his great photographs. I appreciate very much that he shares his work with us here at flickr and allows us by that to view a bit at foreign cultures and people. Especially his portraits of these people show that he has a kind and caring heart for others and knows to see beyond the obvious which he is able to capture in the portraits he does. Anyway I am glad I found him and his photographs here at flickr and I hope to see many more by him!" "I am really a big fan of babasteve. Everyday I take a look at his site and enjoy his work. There are so many photo's who are favorite to me. His eye is splendid! 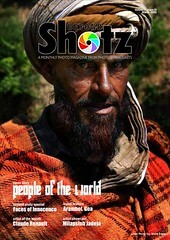 I get the feeling he is beating Steve McCurry and that is a big compliment!!!" "Steve shows his marvelous talent in the protraiture work that he does....his subjects clearly respect him and are completely at ease while being photograhed by this talented proffesional. His compositions are flawless... his colours vibrant. He is my favourite Flickr photographer! With his great talent, Steve remains very humble and in touch with humanity. With all of this, he graciously comments on other peoples work- always complimentary and offering encouragement to those of us who are "greenhorns". I got a personal thrill when I found that Steve had visited my stream, had commented on some, and even favorited one!!! Thank you Steve for showing me how other people live... and for giving me the encouragement that has meant so much to me over the past few difficult months. I wish you continuing success." "Babasteve, despite his amazing photographic ability, is more important to Flickr for being the kind of person that invests a lot of energy into helping relative fledglings (like me) feel comfortable and valuable in this community. I respect him for his artistry, but I truly like him for his humanity...and as the saying goes, "it is nice to be important, but it is more important to be nice!"" "Steve Evans, a name sounding as powerful as his photos. His excellent portraits bring me to the details of unseen faces of people, the spirit bring forth in the images. Beyond this I think he has a good personality as a person, his welcoming comments and visits proves it. Thank you Steve for sharing and bringing more Life… Flcker would be incomplete without your images. So I think you need to go Pro!" "Babasteve, a truly amazing photographer!Luv his work, his pix have a lot of depth and spirit to them. I really enjoy looking at his pix, and look forward to him uploading new ones!" "I'm deeply impressed by Steve's work. He is a magician in capturing spirits with people who show their expressions in breathtaking portraits. A kind of way to get people together and experience a bit from all the cultur around the world. Also his captures of landscapes are amazing, you can feel a special spirit capturing yourself by looking at them. Steve's work always presents moments, which are precious and go deep to the heart. Thank you so much for sharing them with us!" "babasteve combines scientific method with artistic skill is in the best possible position to do the good work.."
" Steve's images are so completely special that always reminds us the most awesome artists. For us, feels like he at the same time reaches the person soul and dignity, never forgetting to (togheter with the strong portrait) shows us art in the composition. The colors and textures are always a dream a part in his images. And the movements are always so sculpturals and naturals at the same time! We love cinetic art, that counts with the material of the sculpture to help with power and forces and that respects the shape of the materials and count with this to the final kind of natural result. For us, Steve's images has this respect for people he pictures and for the natural shapes and movements of the incredible places, fields,countrys he goes and kindly takes us with him. He shows us artistically, natural beauty, natural tensions and natural movements as cinetic art and as the Zen teaches, and he pictures the persons respecting theire own movements, theire work and theire forces, tensions, life revealing the dance of all of it! He captures the dance of life in it's awesome colors and with rare sensibility!!! The heart feels so intensly his images and I agree with the testimonial about him that fubuki wrotte that says his images seems to put us in closer contact with our humanity. Steve's images is a magical invite we imediatly accepted to a world where the heart, the humanity and the beauty dance together. "You will find yourself pouring thru Steve's photostream with a sense of reverential revery. I am completely overwhelmed by the grace, dignity, and hope that Steve captures in his portaits. In the most positive way, he brings us to the human inside us all. I am in awe of his talent and moved by his spirit." 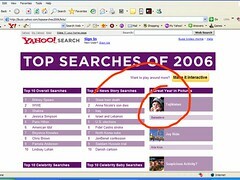 "I just discovered Steve today, late in January of 2005. He added me to his contacts list, which is quite the honor itself given the caliber of photographer HE IS. His work is moving and strong and shows such depth of life and spirit. I page through his photostream and I could easily be sitting here flipping through a National Geographic magazine. The shots are THAT good. He is a true talent, with an amazing eye. Great work, Steve."